Countdown To JoeLanta and The Great Atlanta Toy Convention: 10 Days To Go! Your PopCulteer is honored to be a guest and documentarian for the fifth time at JoeLanta and The Great Atlanta Toy Convention. The big show kicks off for the public on March 11 (If you buy the Commander’s Package you get to attend some exclusive early events), and it’s pure fun. The young at heart gather to bask in the love of cool toys. GI Joe is the main attraction, of course, but the show has grown to include toyboxes full of the best toys ever made. Collectors will find Barbie, Hot Wheels, Shogun Warrors, MEGO figures, Major Matt Mason, LEGO sets and action figures of all kinds. Of special note this year is the introduction of BotLanta, a convention-within-a-convention featuring the ultra-collectible Transformers line of Robots In Disguise. This will run concurrently with JoeLanta and The Great Atlanta Toy Convention and makes it an even more special toy show. Over the next two weeks PopCult will bring you previews, videos and photos, and weekend after next, if it’s at all possible (that means, if I can be dragged from the dealer floor long enough) I’ll even post updates during the show. After we get back, expect a slew of videos, starting off with the big wrap-up (unlike last year, when I got waylaid and took several months to finish it). 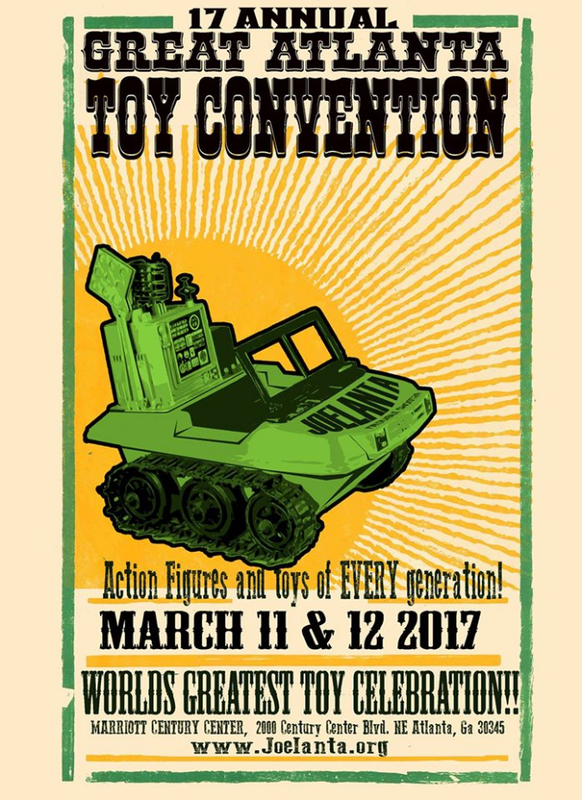 If you have any love of toys and live anywhere near Atlanta (that means the continental United States) you really ought to consider making the trip down South to see the most fun toy convention on the planet. Expect more details over the next several days. Last month Michele appeared on the nationally-heard radio program Behind The Paranormal with Paul and Ben Eno. This show originates from Boston and can be heard online on OnWorldwide,com Radio. Michele discussed her book, Rain No Evil and her encounters with the unexplainable that lead her to create Life Speaks. This week, after an intro where Michele talks about more coincidences she encountered on a recent trip, we bring you the second of three installments of her appearance on the show.